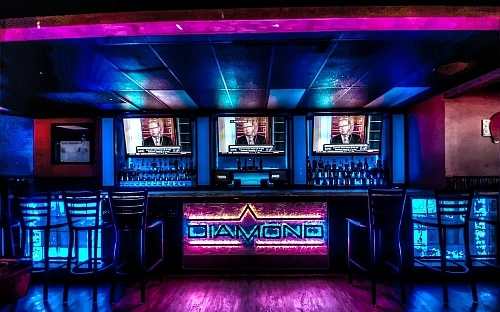 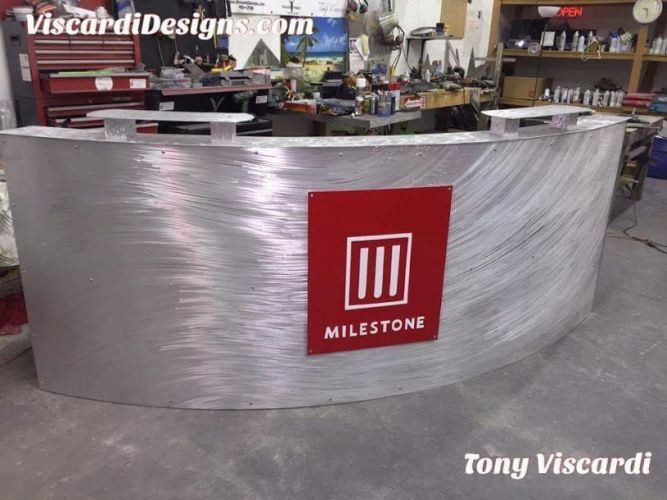 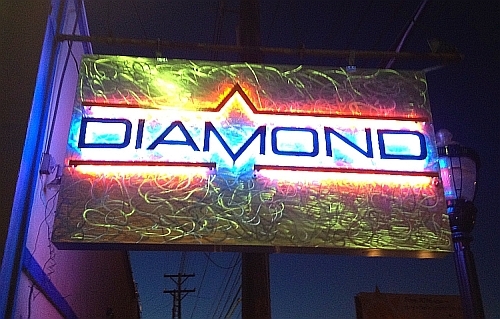 and also covered a 30ft bar and 15ft bar in brushed aluminum as well. 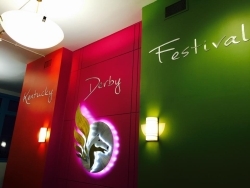 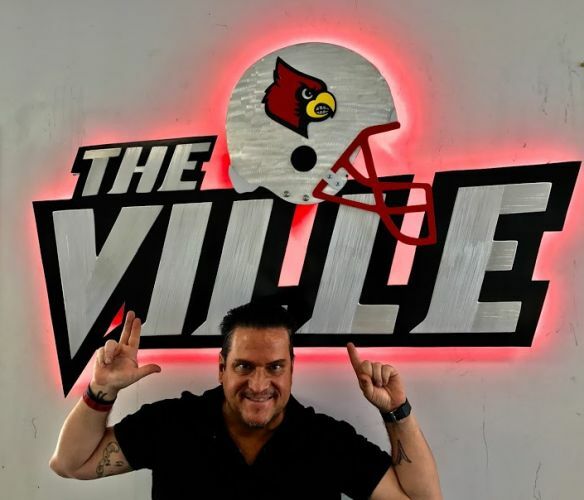 University Of Louisville LED sign we installed in a suite and at Louisville Cardinal Stadium. 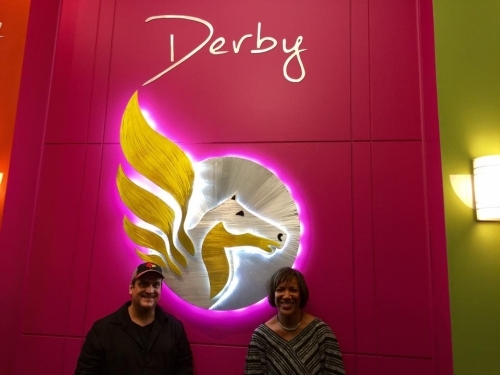 We have installed over 20 unique sculptures for suites at the stadium. 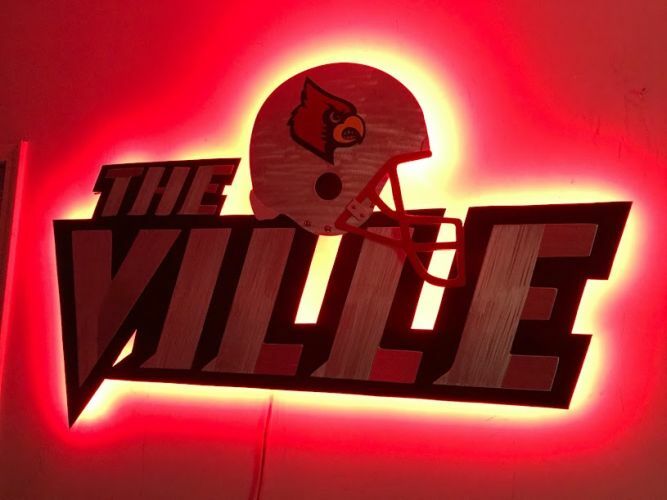 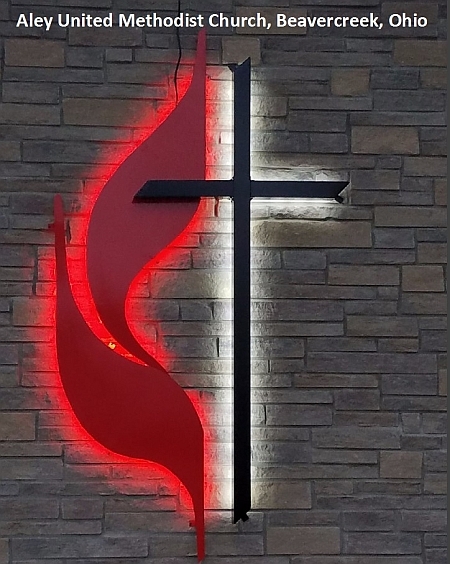 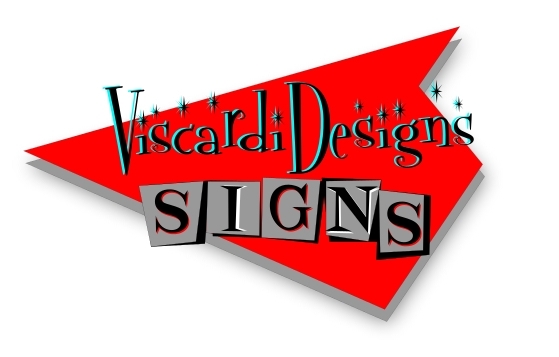 UofL Cards logo sign with color changing LED lights, these come with a remote and be any single color or a variety of pre programmed buttons. 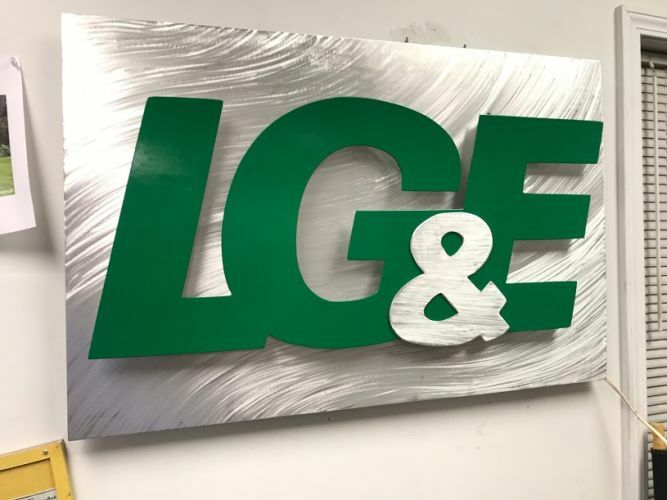 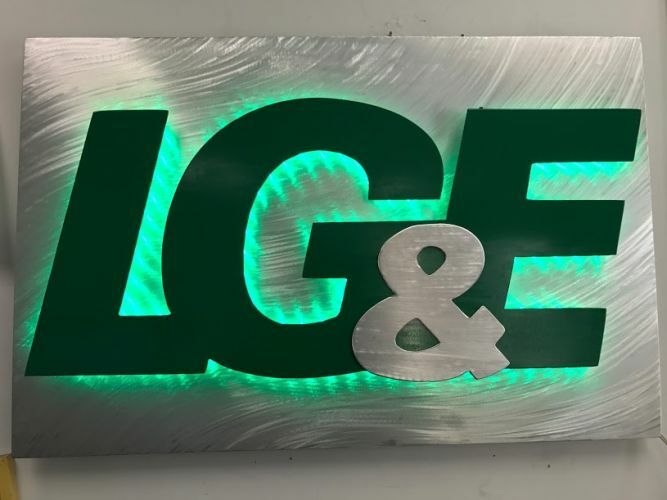 LG&E sign backlit with color changing LED lighting. 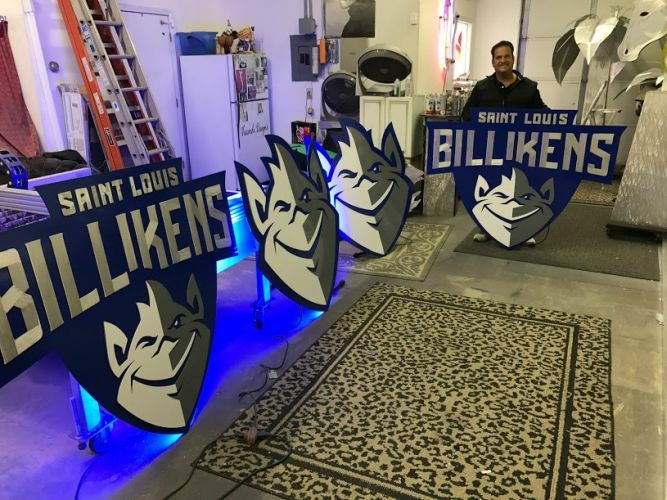 Saint Louis Billikens Logo signs. 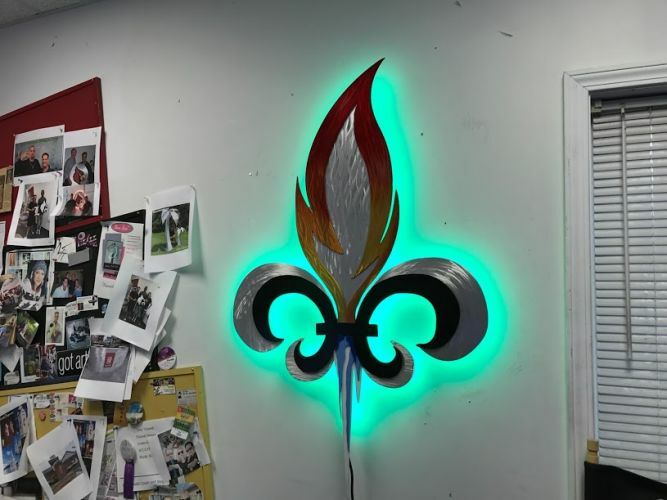 We created these aluminum LED signs for the ST.Louis Billikens Chaifetz Arena. 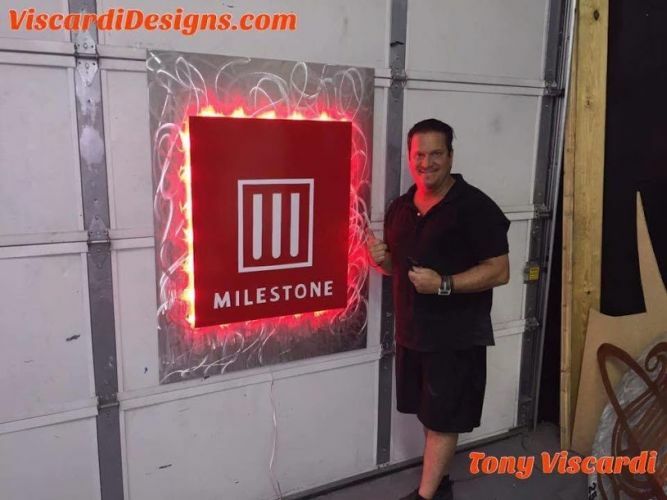 A total of 4 signs installed in the arena. 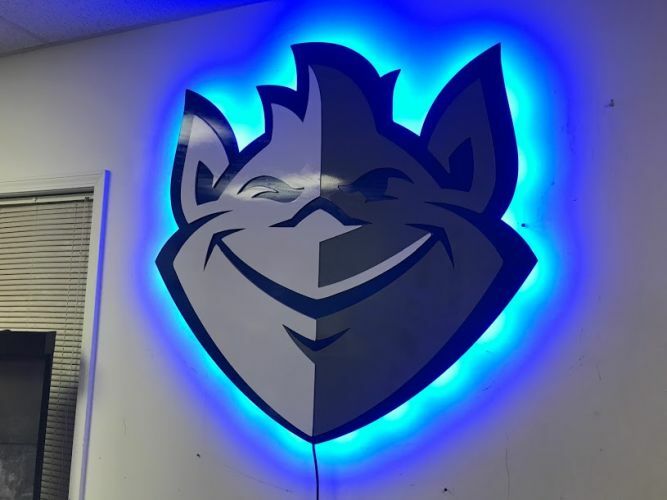 Saint Louis Billikens Logo signs at Chaifetz Arena St.Louis Missouri. 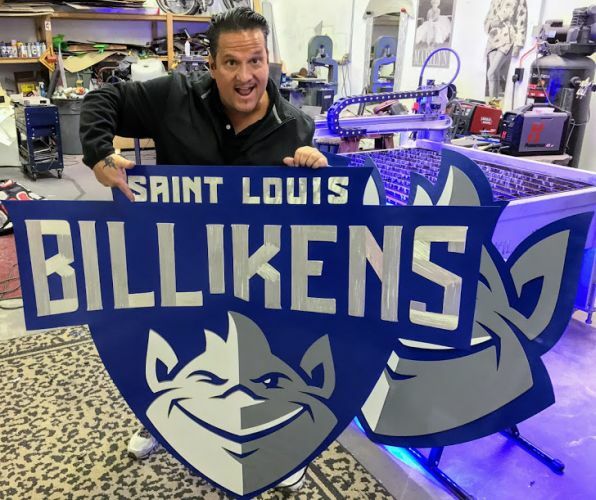 Saint Louis Billikens Logo signs, He is awesome!!! 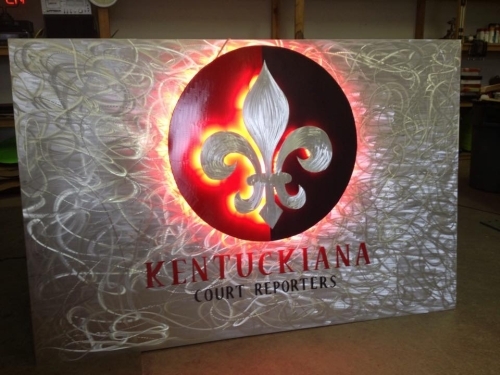 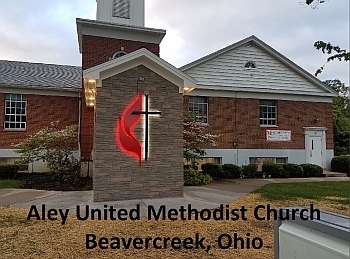 Kentuckiana Court reporters custom logo sign in brushed aluminum and LED backlighting.